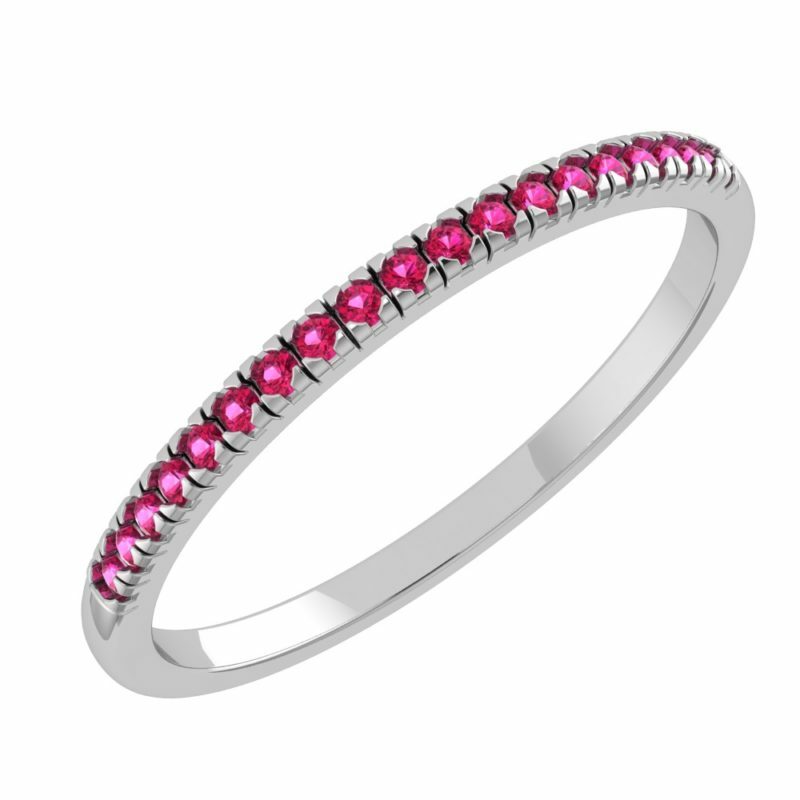 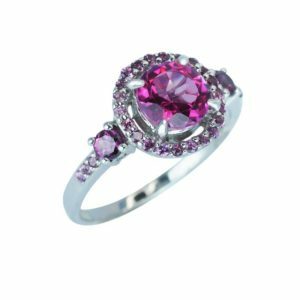 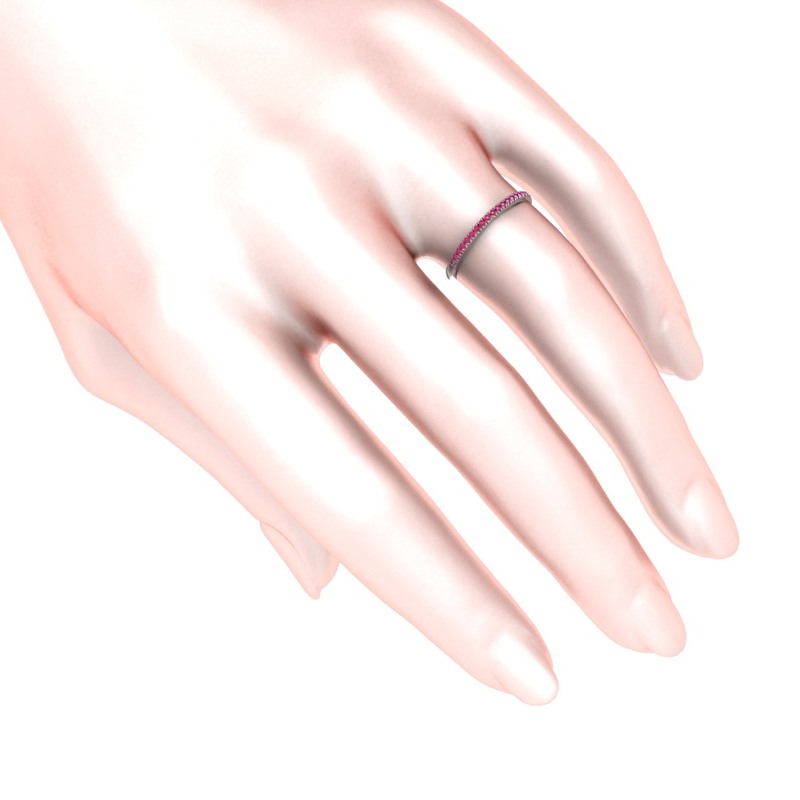 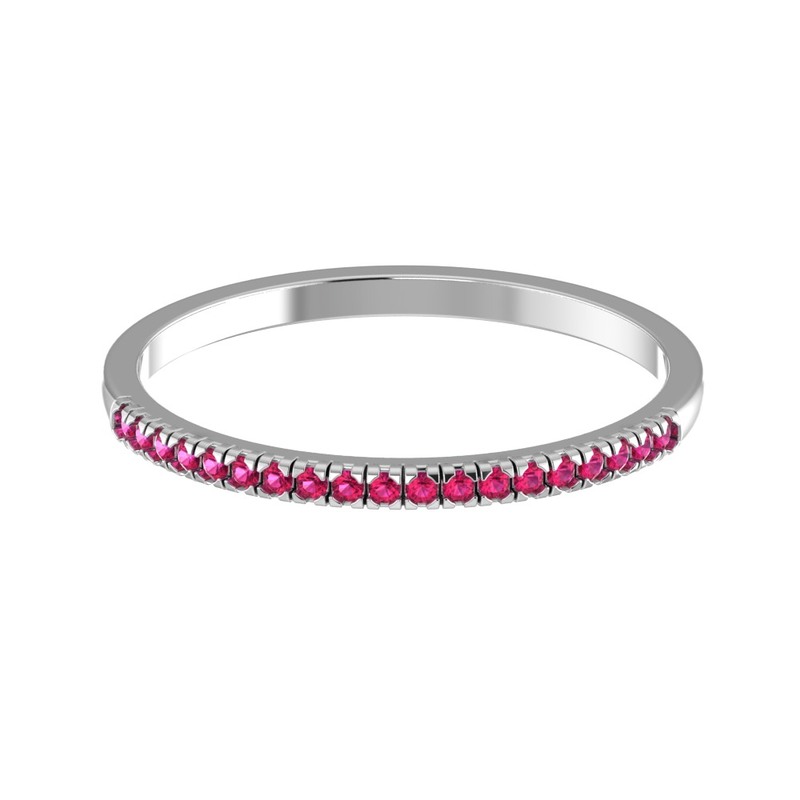 This dainty yet beautiful band ring has been masterfully crafted out of .925 sterling silver and features 21 Ruby gemstones. 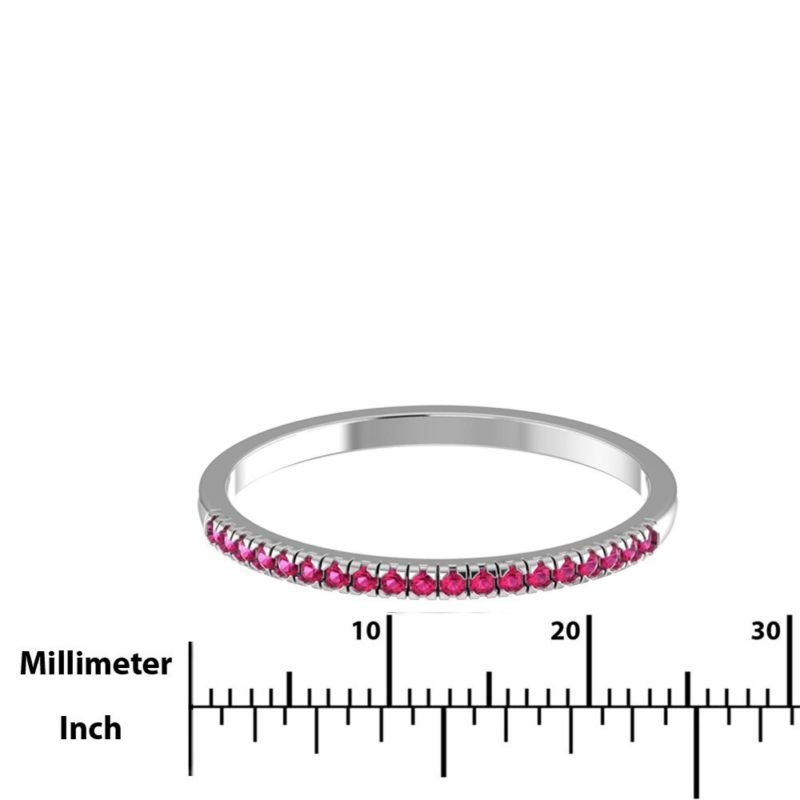 The ring has a total carat weight of .21. 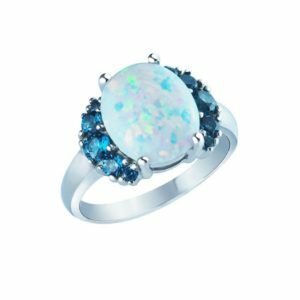 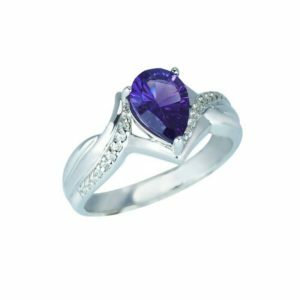 The ring itself also features a rhodium plated finish that gives the ring a sleek and shiny exterior as well as anti-tarnishing properties. 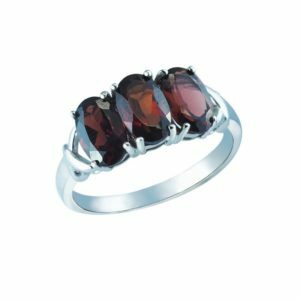 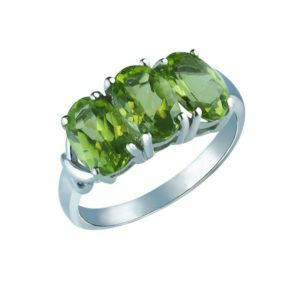 This ring is a perfect gift for that special someone in your life and can be worn for a multitude of occasions whether formal or informal. 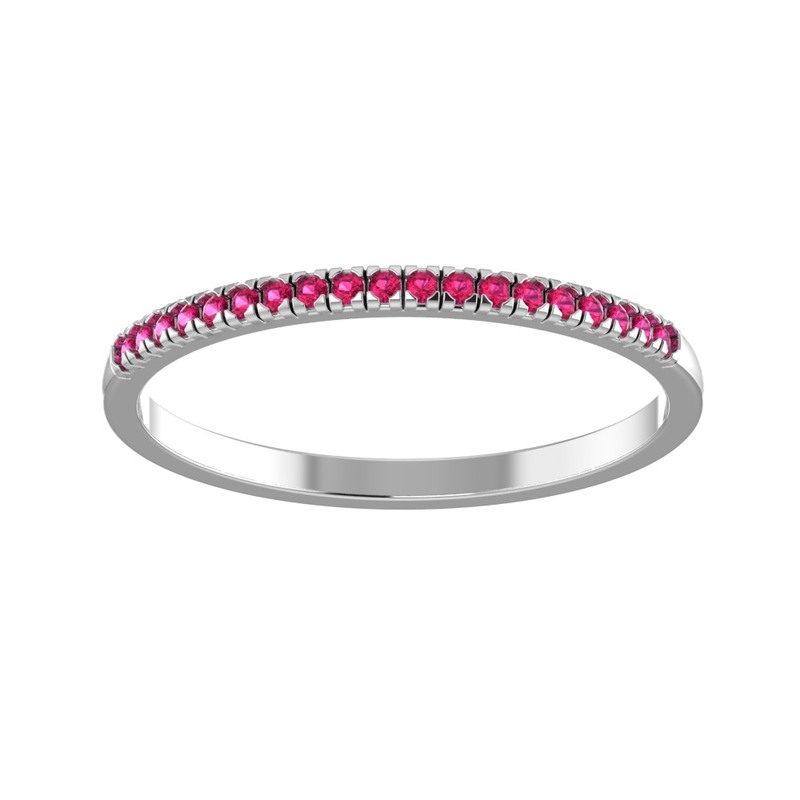 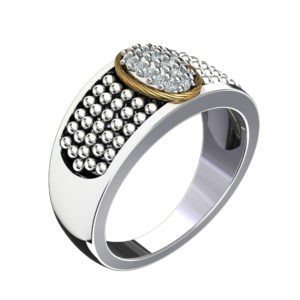 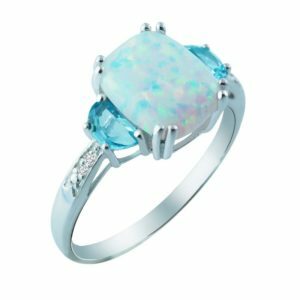 This bridal-style band ring is both gorgeous and extremely affordable and comes in sizes 5 through 10.